If you were looking for a reason to visit Florence, here it is. 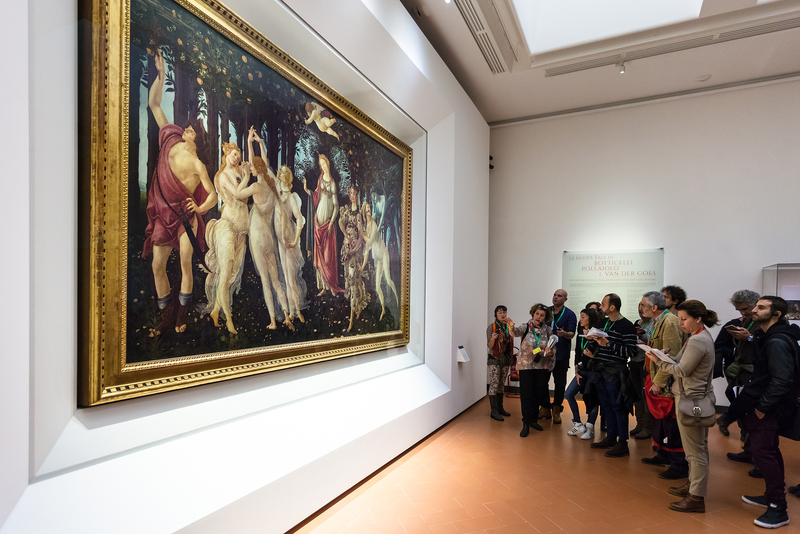 The Uffizi Museum is offering Touch Tours for visually impaired and blind visitors. If you’ve never experienced a touch tour, it’s about time you do. Go ahead…book that flight. The Uffizi offers a guided tour enabling people with vision loss to utilize their sense of touch to get a closer “look” at the museum’s masterpiece collection of art in marble. These are beautiful ancient works, Greek and Roman sculptures. While other visitors are admiring these works with their eyes, you, with a museum expert at your side, get to touch (hand gloved in latex, of course). It is a thrilling and memorable experience. The Uffizi by Touch Tour requires no reservation and can be arranged, upon arrival to the museum, at the ticket office. Florence is indeed a dreamy destination, and by all means…go! You should also know, similar programs are widely available and most likely at a museum nearby. The accessibility services offered are generally good for everyone. Bring a friend, this may be their only opportunity to touch an ancient artifact. It’s not entirely about the touch tour. There are many other ways museums are making it easier to look at art and fully experience the vibrancy, with or without sight. 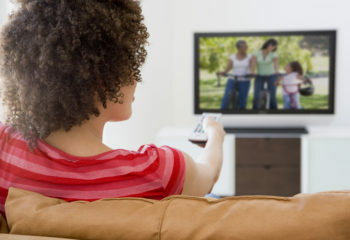 Audio Guides facilitate self-guided tours and are good for everyone. The narrated guides are now also available as accessible smartphone apps, in addition to the individual museum devices. Print Access may extend to large print and Braille exhibition guides and in some cases accessible labeling of art. 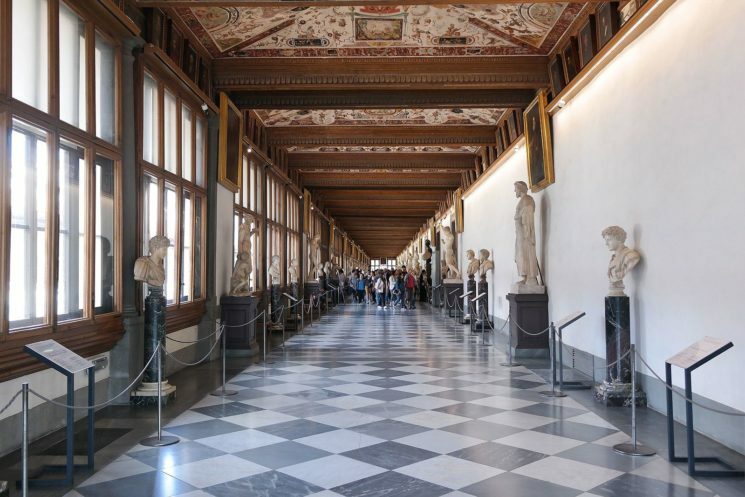 The Uffizi Gallery, the upper-level corridor lined with statues. Verbal Descriptions are perhaps the best accompaniment a visually impaired art lover could ask for. 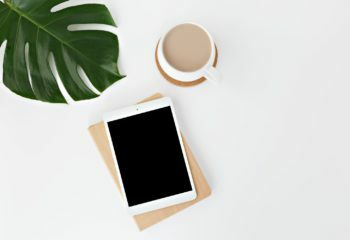 In itself an art, verbal imaging adds meticulously detailed and vivid descriptions including style, technique, texture, and color. By including details that may have been missed by the viewer, these descriptions go a long way in helping to convey the full picture. Many museums offer individual verbally described tours with specially trained guides, which are highly recommended. In addition to the everyday access, museums offer regularly scheduled programs for people with vision loss. 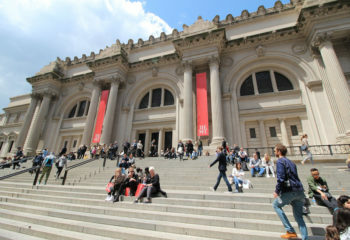 At the Museum of Modern Art, in NYC, join a monthly “Art In Sight” lecture and discussion series, or try “Picture This!” workshops at the Metropolitan Museum of Art. Get in touch with your favorite museum and go for a tour!